Haley’s team makes strides in athleticism. 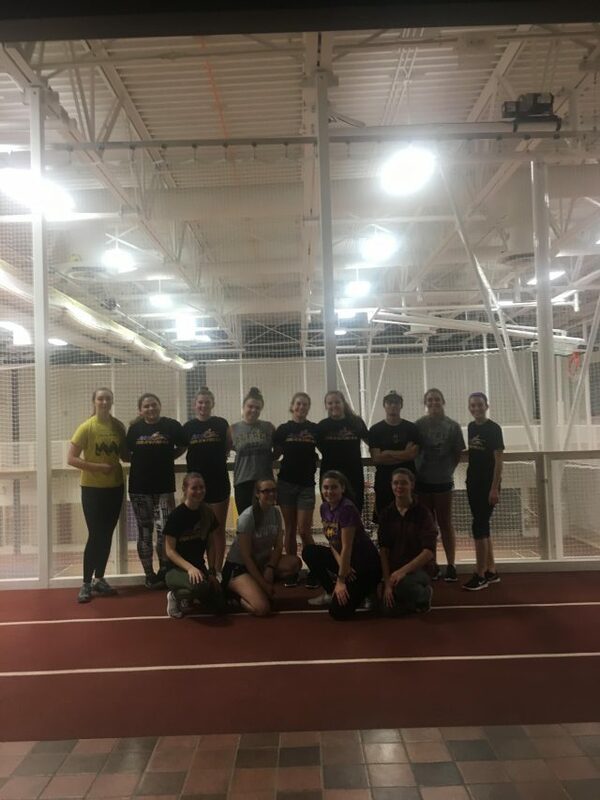 For the first time ever at Alfred University, the equestrian team has access to the new varsity weight room and the physical trainers who come with it. While we are on our third year of weekly captain-run workouts, this year is the first we will have workout and nutrition resources equal to that of other varsity teams. We are lucky to be in this position—many other IHSA teams do not even have varsity standing at their college or university and must pay their own lesson and show fees. Having the opportunity to work out in the same gym as the football players is huge in terms of recognition as a sport. Since our other practices and shows are held a few miles away from campus, we are largely an invisible sport. Most AU students not on the team have never seen a horse show or have any real idea of what it takes to compete on an equestrian team, so us having a presence on campus in the gym twice a week is a step forward in making progress towards universal recognition as a legitimate sport. During my first year on the team, riders were required two practices per week, and that was it. Riders who were a part of both teams, hunt seat and western, could do three practices. Now, the number of riding practices is the same (although, with the addition of the dressage team, some riders have up to four practices per week), but we have added two hour-long gym workouts to our schedules. Each captain runs at least one workout, which all team members are required to go to once a week, and we now have two varsity weight room times open to the team. The difference in rider fitness and confidence is already rising, and more riders are going to the gym on their own because they feel competent using equipment that they hadn’t encountered before starting team workouts. In addition, cohesiveness between teams and riders has improved as a result of working out—we might be intense and focused in practice, but take us out of the barn and put us in workout clothes and we’re all a little uncomfortable. Bonding over awkward situations—making eye contact with a teammate while you trip over the edge of a mat, struggling through shaky-legged squats together, and listening to everyone’s hips collectively pop out when you stretch at the end gives us something to talk about outside of practice and competing against each other. There’s a certain camaraderie I feel with my teammates when we limp past each other on campus the day after a workout, or when it takes two people to heave a western saddle on a tall horse because we went a little too hard on arms the night before. Since we practice with the same people week after week at the barn, sometimes it’s difficult to get to know teammates who might only be together at shows. With a team full of riders who compete both for team points and for individual points against each other, it can be difficult to maintain a sense of balance and mutual positivity. On the western team, everyone shows at each show, which means some classes have four AU riders in them and we end up beating each other. At workouts, however, we can step away from that competitive edge and instead focus on encouraging and laughing with each other. Workouts are so important to build our mental and physical strength, but the effect they are having of making the teams spend more quality time together is just as beneficial.